I was rather surprised to see a Cutie Mark so close to Skyblaze's in there! It's reversed from the one I normally use, which has the cloud closest to her wing and the sun closest to her rump, but it's close enough for me and can be easily fixed with a little photo editing. Last edited by Skyblaze on Tue Apr 03, 2012 5:43 am, edited 1 time in total. 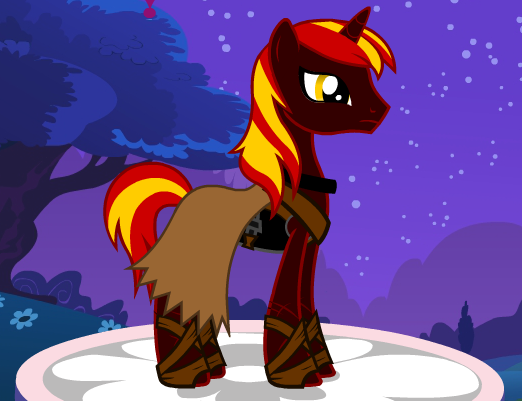 That is actually pretty good and oddly familiar with the pony creator the fan already made. I'm liking this one better myself. Indeed. 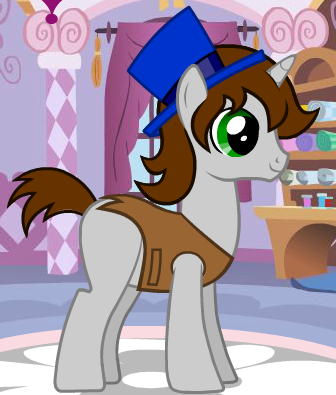 Fewer mane and tail styles, but the ones they do have look better. 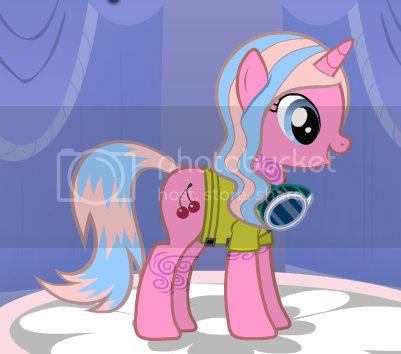 The only changes I'd like to see are to allow custom cutie marks and to be able to remove the base the pony is standing on. Posing would be nice, but I know that causes some real headaches with layering. This version was made for the show's actual target audience, not *necessarily* we adult fans. It has to be kept relatively simple. I'm -greatly- disturbed by the burger and bacon cutie marks.. Less by the hot dog one, we all know those are made with old shoes anyways. If anypony want help with editing them. I am happy to lead a hoof to help mix match two version to get the best of both world! 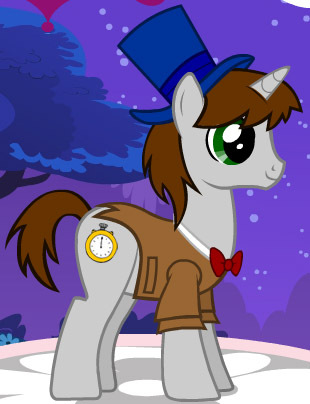 If only they had a fez and a pocket watch cutie mark! That's pretty good! 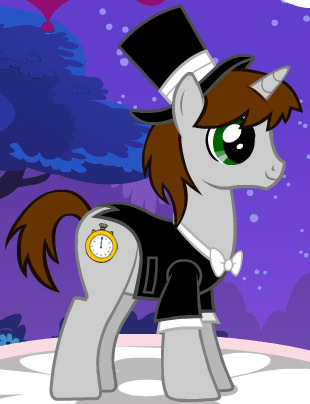 They have sleeves, too, if you wanted to complete his tailcoat. They are Foreleg accessories. I really don't have words for how happy i am at this one Not the best selection in some stuff, but the clothes are really awesome and more than make up for it i think. I did have a repeated problem with parts turning gray unless you color the body dead last though. Either the horn or the mouth would be gray no matter what you did, and i actually had to start over a few times. Any ponies trying this one out, just remember to color the body last and i think you'll avoid it, cause it looked pretty bad like that. I'll have to try that with Skyblaze. If you look at her pic, you'll see that her mouth is grey. I kept wondering why that was! Wait. How did you post your ponies up here, if you can't save them? Take a screen shot, save it using a image editing software, and upload it to flikr or photobucket.